Extended daily in Kingston via Eden Street to High Street. XL type introduced although MV type still operated. XL1 Optare Excel with the catchy slogan on the side " Eden Street to Paradise Road"
Kingston (K) closed - allocation moved to Tolworth. Gradual conversion to low floor single deck operation. replaced by LU operated from FW. 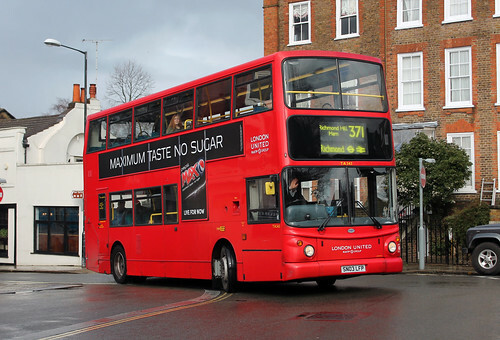 Tolworth allocation moved to Fulwell (FW) - double deck working taken off 418 schedule. Richmond terminal now Sainsbury's. Dee Road loop withdrawn.